This statement may have been true once upon a time, but in today’s world, a penny saved is worth more than a penny earned. Taxes: Almost all earned income in the US is taxed. If you are in the 25% tax bracket, that dollar you earned is actually only worth $0.75. If you pay state taxes, it might only be worth $0.70 or less. That is a huge discount against the dollar you have already saved! Remember, when you have saved a dollar, you have already paid your taxes on it. Let’s take a quick example. To buy a large Starbucks, you might have to spend $5. To replace that $5, you would actually have to earn more than $6. Hmmm… That makes you rethink that large Starbucks every morning, doesn’t it? Time Value of Money: Would you rather have $1,000 today, or $1,000 in one year? Most people would rather have the money today, and for good reason – the money is worth more today than it is in the future. Why? Because of its earning potential. You can earn interest on the money right now. Assuming you put your $1,000 into a bank account earning 5% interest, the $1,000 will be worth approximately $1,050 at the end of the year. If you receive $1,000 in one year, it is only worth about $952.38 in today’s dollars ($952.38 @ 5% interest will be worth $1,000 after 1 year). This calculation does not take into account the next reason a penny saved is worth more than a penny earned: inflation. Inflation: As time goes on, the general cost of goods and services increases, and the relative purchasing power of your money decreases. Let’s use the $1,000 from the example above. If you receive it today, you have $1,000 worth of purchasing power. If you receive it in one year, the purchasing power will likely decrease due to inflation. 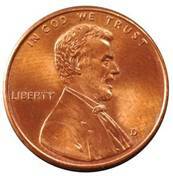 The work is done: With a “penny saved,” the work has already been completed and you have already paid your taxes. To earn another penny to replace it, you have to work again and pay more taxes. This may not be a big deal for a few dollars, but when you make it a habit to reduce your expenditures and live a more frugal life, you can save hundreds of dollars per month. Not spending that money means not having to work again to replace it. I would rather have my money working for me, instead of the other way around. No guarantees for future earnings: Most of us will wake up tomorrow, go to work, and earn our paychecks. But there is always the possibility of losing your job due to corporate downsizing, being fired, of otherwise losing the ability to work and earn income (hopefully only for a short period of time). Saving money allows you to hedge against the possible loss of future income. Saving money is important. When you look at saving and investing from the perspectives listed above, it is clear that dollar for dollar, the money you have already saved is more valuable than money you will earn in the future. The money you currently have has already been taxed, is worth more now than it will be in the future, has the capacity to grow through compound interest, and you do not have to work for it again nor worry about whether or not you will be able to earn it again. There are many ways for you to start saving money, including shopping around for cell phone carriers that are less expensive and there are those cell phone companies that will pay early termination fee for you to switch to their plan. Great article! This is a concept I have been slowly realizing lately, but you laid it out so well it really sinks in. Thanks! F&F, Thanks for the compliment. I think when people make this realization, it really changes the way they think about money. I know it did for me! Excellent points on the value of saving. An important first step, which should be followed by another important step – investing your savings. One must prudently invest or in other words make your money work for you. Otherwise all your hard work erodes over time with inflation, opportunity cost etc. Great article, I plan to provide a link to it on Friday when I run down the articles I most enjoyed from the Carnival of Personal Finance #127. What amazes me is I know so many people that worry about their return on their money, but they haven’t really saved much. They are hoping a high return will bail them out for not saving, but this is a difficult fight since most folks fail to even match market returns after expenses and taxes. The most successful folks I know focused on saving, more than returns. Savings are so under-rated today so I think this post is important to drive home the importance. Amen! The time value of money is the number one financial principle that should be taught to every kid in high-school today. When I have kids, I plan on drilling that into their heads just as much as not touching the stove! But why should I keep my money saved if do to inflation it’s gonna worth less tomorrow then today? Lila, you got it! Investing is the only way you will be able to keep pace with inflation. Saving your money in a savings account may keep you close to inflation, but long term it certainly won’t make you any money! Spending money on the premise you can earn more money is also not a great way to do things because it will take more in earnings to replace the money you just spent. It is our responsibility as good stewards of God’s wonderful world to educate our kids ‘at home’ on the value of savings. School could complement this education but at home through extra chores, pocket money & donating to others less fortunate are much clearer & inspiring avenues of learning. I have one saver (7 year old boy)already looking at some shares to increase value of savings. Outstanding article. I will be using it tomorrow in the class I teach, Life Skills, to 9th graders primarily. Well written and easy to understand and important principles… especially today with the economy. If I put my $1000 into savings, part of that $50 I earn in interest is going to go to the tax man. You just can’t win. > the tax man. You just can’t win. Sure you can! I’d rather have the remaining $40 than the $0 I would have had with no savings at all. It’s still 80% win! You make a good point, however, I think you actully understated the effect of taxes on your dollar saved. In fact, because we actully pay taxes on the money we pay our taxes with, saving a dollar is equivilent to earing $1.48 if you consider federal income tax within the 25% tax bracket, and 7.65% for FICA and SECA. To replace that $5 spent on a Starbucks you actully need to earn $7.40! Add state taxes of 5.5% and now we are talking about earing $8 to replace the $5 spent on that Starbucks. I am writing an article about the same topic and you really brought the saving issue to the point. I (and many others) have only little room for more income (I am a MA student and have a 20 hour job). But instead of working more hours every week I started tracking my expenses and decreased them by 65$. That equals to nearly 8 hours I would have to work to earn the same amount. This way I do not only have 65$ more every week, but also 8 hours more to study or relax. And saving 65$ was not even too hard. I started brewing my own coffee (but still buy the grinded coffee at the same place), ate more at home and went less to restaurants. I also started recycling bottles and cans. Overall, I see only advantages :). Great Article, and I agree Ben would be proud! !